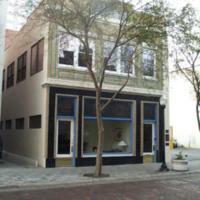 The Tinker Building, located at 16-18 West Pine Street in Downtown Orlando, Florida, in 2003. 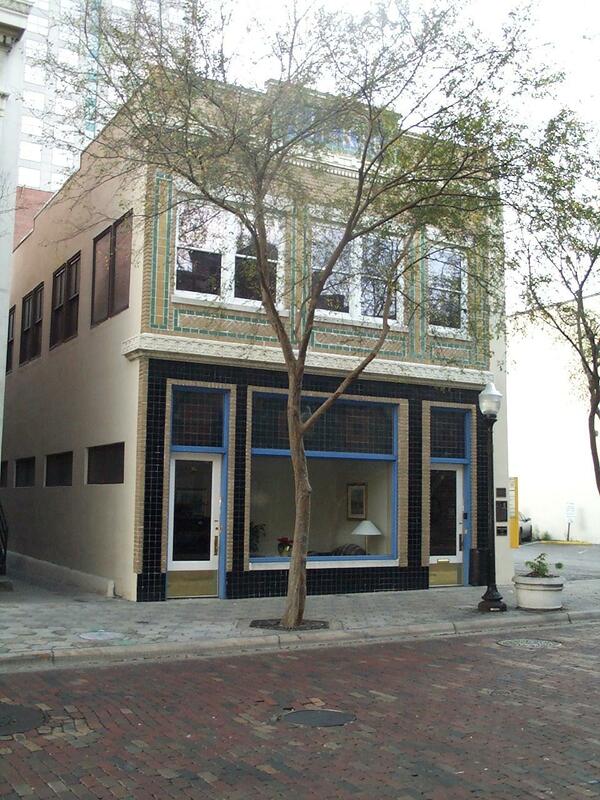 After moving to Orlando in 1920, Joseph B. Tinker constructed the Commercial-style in 1925, using glazed brick tiles and terracotta, for his real estate offices. Tinker was shortstop for the Chicago Cubs, manager of the Orlando Tigers, and the first Floridian to be selected for the Baseball Hall of Fame. The first floor housed the Singer Sewing Machine Company and other tenants have included the Balfour Hardware Store, starting in 1928. In 1941, the property was purchased by the Massachusetts Mutual Life Insurance Company and then later sold to Carey Hand. The building was added to the National Register of Historic Places on July 17, 1980. Balfour Hardware Store; Baseball Hall of Fame; baseball player; Chicago Cubs; Commercial architecture; Cook, Thomas; Downtown Orlando; Hand, Carey; hardware industry; insurance; insurance industry; Massachusetts Mutual Life Insurance Company; National Register of Historic Places; orlando; Orlando Tigers; Pine Street; real estate; real estate industry; Singer Sewing Machine Company; Tinker Building; Tinker, Joseph B.
Cook, Thomas. “Tinker Building, 2003.” RICHES of Central Florida accessed April 24, 2019, https://richesmi.cah.ucf.edu/omeka/items/show/1777.